Essential for fiber optic and coaxial cable pulling, these swivels have a break load ranging from 150–1,800 pounds (667–8,006 N) and are designed to separate at ±10% of their rated break load. 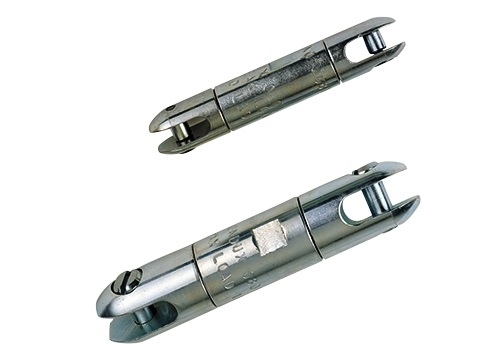 If the load rating is exceeded, the interior break pin fractures, the swivel separates, and the cable remains undamaged. Break pin is easily replaceable (see ordering information, next page).